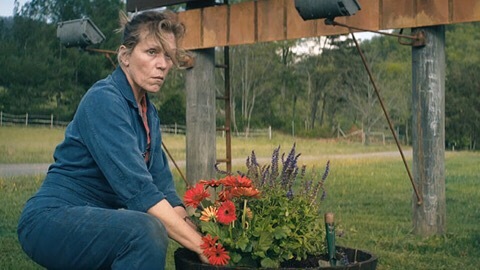 The film follows a mother who, when the police in her town fail to find a suspect in her daughter’s murder, rents three billboards to call public attention to the unsolved crime, polarizing the community. I watched this the other day as part of a “double feature” with Coco (which I reviewed HERE). I love Pixar and was expecting to like Coco far more but I preferred Three Billboards. It’s a great film! I don’t know why but maybe it’s because my expectations were low whereas they were very high for Coco. It’s that time of year in the UK when we get the “Oscar-worthy” stuff like this. Because what better way to make the shittiest month of the year even MORE depressing than by releasing all the dark & dreary Oscar dramas?! Manchester By The Sea? Hell yeah! Just what I want to watch in f*^king January! 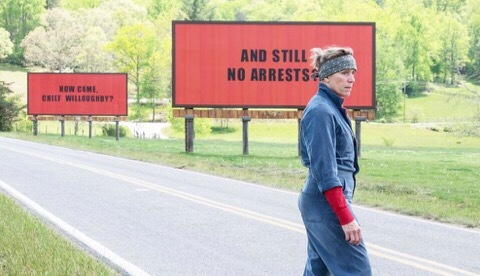 But I kind of loved Three Billboards. It’s another “Oscar drama” but it’s so well-written and wonderfully acted and the dark humor throughout it really made it a much more rewarding watch (for me, at least) than the usual heavy Oscar dramas. Okay, I know the Oscar nominations aren’t out yet but this will most likely be one of them and, at the moment, I can say I’d be happy to see it win. We’ll see what it’s up against – most of the films still aren’t out here yet. Where do I begin? With the acting? I loved everyone in this. I’m a bit weird in that I don’t care too much about the acting in a film, as long as it isn’t terrible and as long as it’s not someone I can’t stand the sight of (like Gwyneth Paltrow or something). But, man – everyone did a brilliant job in this. 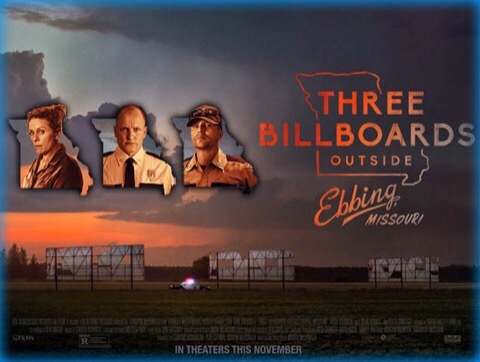 Our main three, Frances McDormand, Woody Harrelson & Sam Rockwell, were insanely good. Like, I want to hug them and thank them for being in this movie. Seriously. And I hate a lot of actors! When did Woody Harrelson get so great??? I loved him in Edge Of Seventeen as well. He’s going to end up a favorite actor of mine at this rate. I wouldn’t have expected that ten years ago. Everyone else as well, though, even down to the small parts – all were great. Perfect casting. I’d love to see the acting win plenty of Oscars for this film. I’m not sure why my expectations were so low for this film. I really enjoyed Martin McDonagh’s In Bruges. I also thought Seven Psychopaths, though flawed, was pretty good overall. 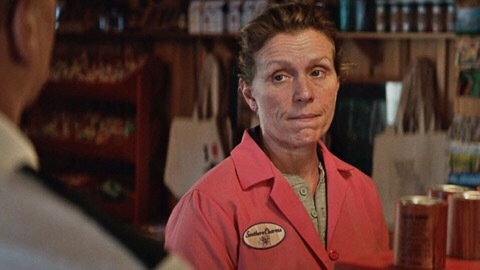 Three Billboards is now easily my favorite (yes, even over In Bruges). And no Colin Farrell in this! Yay! I’d recommend this to anyone who was a fan of McDonagh’s previous two films as it has the same sort of style. However, this is much darker material (a teenage girl is murdered) and the emotions feel more genuine than in his previous films. The movie gets the right balance between drama & humor and it wasn’t a “heavy” watch in the way I was expecting. I’m actually not a fan of things like Fargo (I never finished it) and preferred the way that these characters felt more real to me. 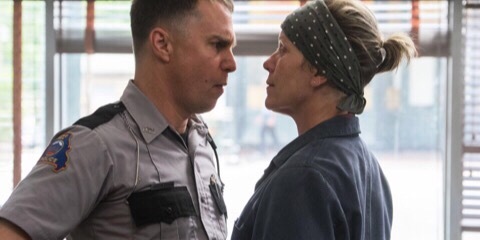 I suppose it’s a combination of the acting and the writing, which has come together perfectly in Three Billboards whereas McDonagh’s other two films didn’t work quite as well overall. I’m now really looking forward to seeing more of his films in the future. And as he likes to re-use actors, I hope he sticks with McDormand, Harrelson & Rockwell. The cast of character’s is what made me want to see this movie. I’m trying not to read much of what its about. Got a good feeling about it though and glad to hear you enjoyed it.